In one of the most interesting posts I’ve read in a long time, Wired investigates artificial intelligence, machine learning, programming, science and biology. 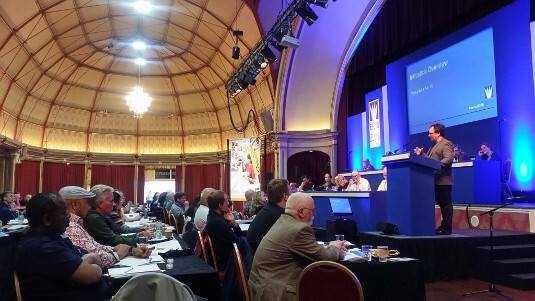 I attended this year’s BECTU Annual Conference in Eastbourne on Saturday 14 May 2016. I contributed to a number of debates at the conference, this most significant of which of which was for conference to agree overwhelmingly to ballot members on the proposed merger with Prospect. 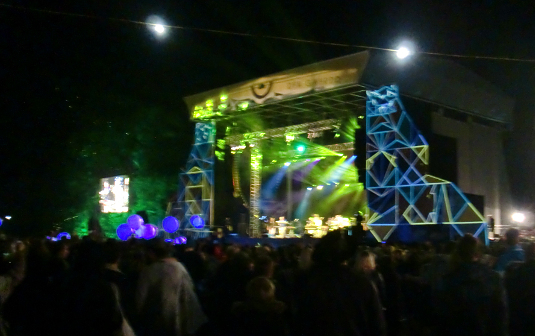 Christina, Des and myself attended the Green Man Festival 2015, held at Glanusk Estate, Powys, Wales. We’ve been to the festival every year since 2011, and since 2013, have stayed for seven days as Green Man Settlers. We pitched our tents on Monday 17 August 2015, followed by our first visit to the nearby extended Settlers Bar, to sample the Growler bitter along with the new Guzzler cider, both specially brewed for the festival. Before the start of the actual festival, we enjoyed the new entertainment laid on for settlers, and also visited nearby Crickhowell, making sure we went to both the Bridge End Inn beer garden adjacent to the River Usk and the Britannia Inn. On the first night of the festival proper, Thursday 20 August 2015, we saw the effective Leftfield on the Far Out stage. The following evening, on the main Mountain Stage, we saw the funkadelic Atomic Bomb! followed by the psychedelic Hot Chip. On the Saturday we saw the New Yorktastic Television and the Welshtastic Super Furry Animals. On the final evening we saw the multimedia Public Service Broadcasting, and then sampled some of the excellent ciders on offer at the expanded Green Man Beer and Cider Festival. We then saw the burning of the Green Man, visited the Green Man Bonfire, then danced in the Far Out area, followed by a visit to End-Up Bar to sample more of the Guzzler cider. We then (attempted) to make our way back to our tents, and, on my suggestion, took a route down a hill “where the chance of slipping will be less” in the somewhat treacherous conditions prevalent at the time. Needless to say, within seconds I had slipped, resulting in mud all down the side of my body! We eventually got back to our tents at around 0600, ready to derig our tents by 1200 later in the day! 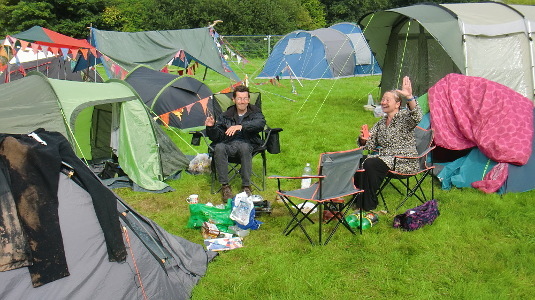 Later on, whilst Christina was in rest and recuperation mode, we depitched the tents. Des then decided to return to the wilds of West London, and Christina and myself made our way to our next venue: Llangenny camping site. 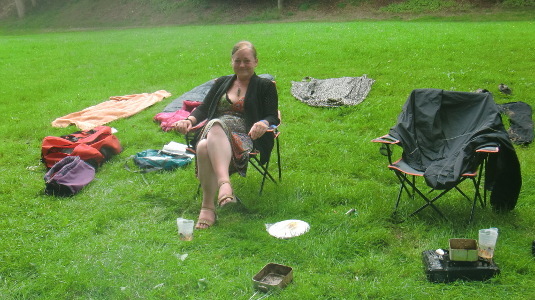 Following a taxi journey, I pitched my tent whilst Christina continued to rest and recuperate. I then decided to visit a nearby pub, since the local was closed on Monday, following a route suggested by the taxi driver. Unfortunately, a journey that should have taken about twenty minutes, ended up taking more than two hours due to a wrong turn, and I virtually ended up were I started – in Crickhowell. Following a couple of pints in the Britannia Inn, I made my way back on foot, since the local taxi companies had closed for the night! The rest of the week was spent exploring the locality, including the excellent Dragons Head, which was virtually across the road from the camp site. We returned home on the train on Friday 28 August 2015 – another brilliant Green Man two weeks! Following a review of the expressions of interest to host WPUK Unconference ???? UK 2015 number 2 (working title), which was scheduled to take place on the weekend of 25-26 July 2015, the event has been cancelled. 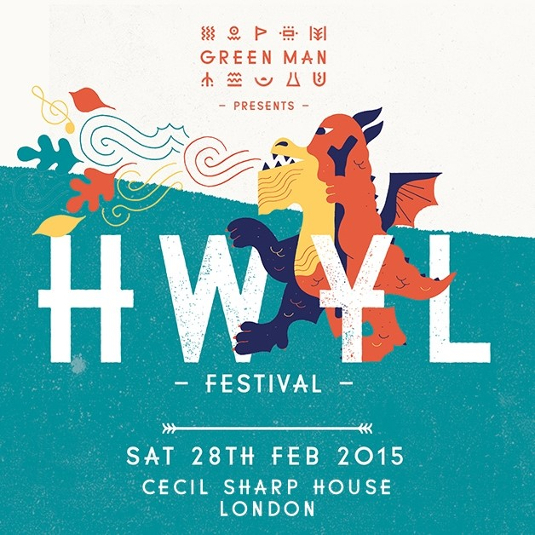 On Saturday 28 February 2015 I went to the Green Man Hwyl 2015 at the Cecil Sharp House in Camden Town. Unfortunately neither Christina or Des, who I attend the Green Man Festival with, could be present at the follow up to last year’s first Hwyl. The day started with Huw Stephens spinning the disks. 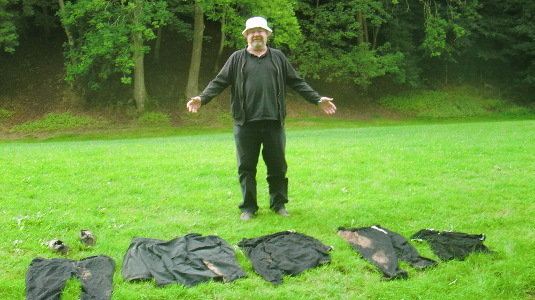 Then followed the experimental folk sounds of Cowbois Rhos Botwnnog who sing mainly in Welsh. I then went to listen to the hilarious comedy of Mike Bubbins, followed by singer-songwriter and harpist Georgia Ruth. There followed poet Patience Agbabi, followed on by the at times funny Sweet Baboo aka Stephen Black. Poet, author, playwright, actor and TV presenter (phew!) Owen Sheers then recited poems concerning the experiences of wounded soldiers. The intricately played guitar of Stanley Brinks preceded the heroic attempts of Twmpathology to teach the assembled to twmpath, ceilidh and barn-dance. Teleman, who where suprisingly heavy at points, concluded the event in fine style. On my way back to Camden Town, I popped into the Dublin Castle for a final pint, and in the backroom found a group from the Hwyl – the dancing continued until 0200! You are invited to propose a venue to accommodate WPUK Unconference ???? UK 2015 number 2 (working title), the follow-up to WordCamp Birmingham UK 2015. The event is scheduled to take place on the weekend of 25-26 July 2015. The deadline for completed submissions is midday on Saturday 25 April 2015 – this will be followed by a ballot of registered WPUK Discuss users to select the winning proposal. WordCamp Birmingham UK 2015 took place on the weekend of 7-8 February 2015. There will be an announcement shortly concerning the follow up event, which is likely to be held during July 2015.